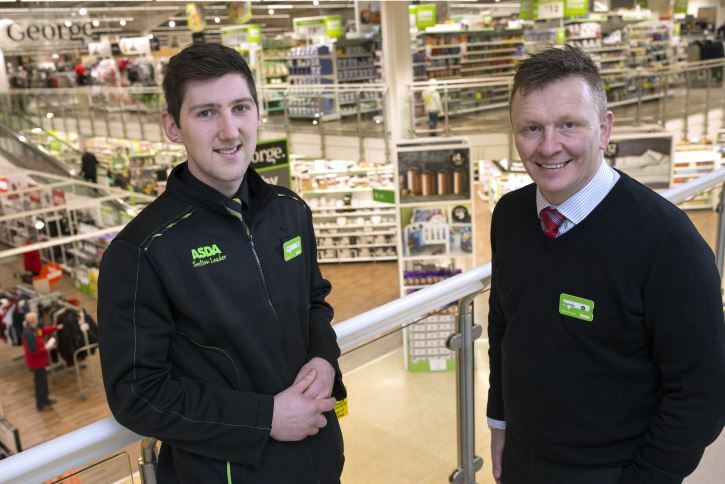 A 22-year-old from Cardiff is reaping the benefits of undertaking an apprenticeship after securing a promotion at Asda’s largest store in Wales. Oliver Lock joined the Cardiff Coryton Supercentre in 2012 and was encouraged to apply for an apprenticeship by a member of his team. He said: “I first heard about Asda’s apprenticeship scheme through one of my colleagues in the administration department; she approached me about applying for the apprenticeship because she thought I had the right skills, but I wasn’t sure it was right for me. He added: “I’ve learned so much from my apprenticeship – I have had exposure to so many areas of the business, I have been required to work out of my comfort zone and encouraged to go further than I would have previously thought possible. Kate Fisher, Senior Director, People, Talent, Leadership and Capability at Asda, said: “At Asda, our colleagues are the beating heart of the business and developing our people is a top priority. We are extremely proud of our Apprenticeship Programme which offers a vocational alternative to college or university, with many of our former apprentices going on to become part of our Senior Management team, having worked their way up. “The Apprenticeship Programme we run here is organised around the individual and their role, and our aim is to provide colleagues with wrap-around support, a structured career path and a nationally recognised qualification. We also provide them with new skills to enable them to progress their careers and provide the business with its future leaders. Minister for Skills and Science, Julie James, said: “In Wales, the number of employers offering apprenticeships is on the rise and I’m encouraged to see organisations like Asda committing to up-skilling their workforce.